FAI Automotive details why it is able to provide factors with the diverse steering and suspension offering required to remain competitive. FAI has supplied the aftermarket with steering and suspension components for almost 20 years. The exporter started out with a focused range, comprising just a few hundred numbers in the early 2000s. However, the pick-up from their existing customer base was so quick, the range soon increased to over 3,000 parts. Roll on 2019, and the range has grown to 5,500 references, encompassing all of the most popular applications both in the UK, Ireland and across Europe. 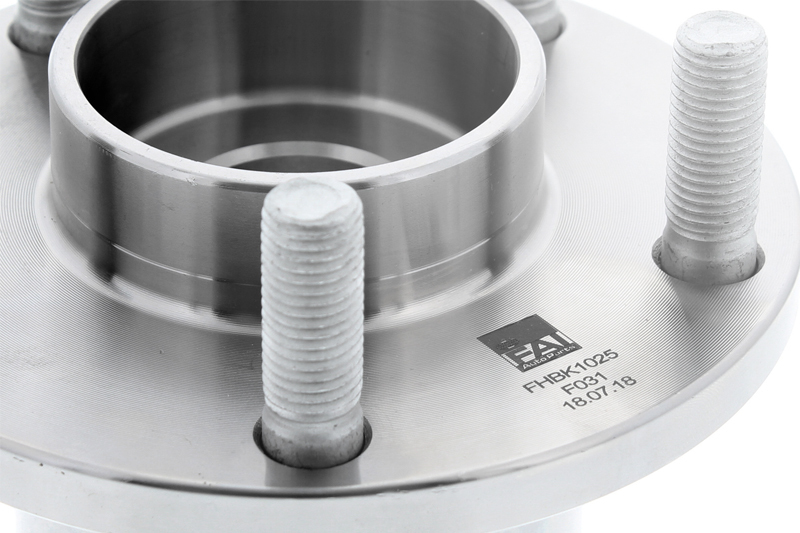 FAI specialises in all safety critical components, with all ball joint and fixing designs going through stringent tensile testing to ensure a quality product. But, FAI is by no means a one-trick pony, and does not only offer the main steering and suspension components. Already recognised in the industry, the long-established company provides a wider range of products, including several which complement the established steering and suspension offerings. These categories include Coil Springs, Top Strut Mounts and its most recent product launch, Wheel Bearing Kits. 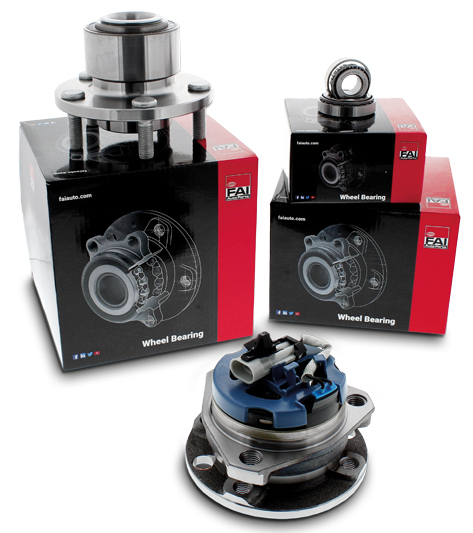 The recently introduced range of FAI wheel bearing kits comprises over 200 hand-picked references, which covers 85% of the vehicle parc for popular European and Asian manufacturers. FAI’s range covers all three generations of bearing, all of which incorporate sensors and pick-up markings for ABS where needed. The range is spearheaded by Product Managers Gary Hammond and Mayur Chauhan, who strive to meet the requirements of an ever-growing customer base. Mayur commented on the range additions: “We’ve worked closely with our factories to develop new part numbers, which I’m happy to have included in our latest catalogue. The sharp rise in certain 2015> car sales, such as the Astra K, have prompted us to produce a comprehensive offering that will aide our customers as the vehicles leave the hands of the dealers and on to FAI’s customer base. “FAI has secured a distribution network throughout Europe which has increased our sales, and, in turn, our manufacturing power. This is the main reason we’re able to stay competitive in the market; safeguarding future business. 2019 is going to be important for our steering offering as we are expecting multiple range extensions throughout the year. “Quality is assured. All components are constructed of carbon chromium steel, nylon 66 with fibreglass, and finished with high performance lubricants to ensure a long-lasting repair. I have had all designs rigorously inspected using the latest corrosion accelerant machinery and tensile testing to ensure load capabilities that well exceed that of real-world demands,” concludes Mayur. FAI has always provided its customers with an easy to read pictorial catalogue, with all images laid out in the position they’d be fitted to the vehicle; aiding a quick look-up. Despite all of the modern online cataloguing systems, the feedback to FAI has been to continue with a printed version. The 2019 edition of the FAI’s catalogue offers over 400 new part numbers. With a page count in excess of 1,700, the catalogue covers as many relevant popular applications as possible, including the Mercedes C Class 2014>, Astra K and Hyundai i40 2012>. For more information on the full range of products available from FAI, click here.